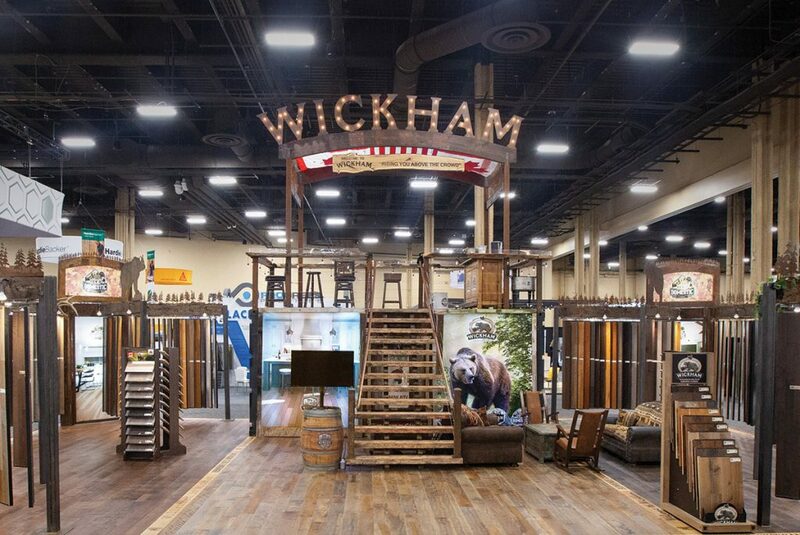 Wickham Hardwood Flooring has received, for a 3rd time in the last 5 years, the Grand prize for Best Booth Design at The International Surface event held last January in Las Vegas. What a way to start its 30th anniversary! The title, given to the best booth of the show, is awarded by judges from the different associations represented at the event. Every booth is judged based on originality, innovation, cohesiveness of the design with the company and its products and, ultimately, overall aesthetics. At Wickham, we are proud to stand above the croud once again and be recognized by this prestigious event. The International Surface Event, the most reputable flooring trade show in North America, encompasses manufacturers from around the world, making it the yearly hub for buyers and influencers looking to find novelty, inspiration and new business opportunities. Wickham Hardwood has now been awarded the prize in 2015, 2016 & 2019.